Teacher’s Day has fundamentally provided us with an opportunity to thank our teachers – past and present – who have made a tremendous impact in our lives. INTI International University and Colleges, with its #Dedicated2Cikgu campaign has taken this purpose to a whole new level. Addressing teachers across Malaysia, Timothy Johnson, Senior Vice President, Corporate Marketing, Products & Partnerships at INTI said, “There is a saying that a teacher takes a hand, opens a mind and touches a heart. This is precisely why teaching is such a rewarding job – in witnessing the success of your students, you ultimately reflect on your success as a teacher too. Returning for the fifth year, the #Dedicated2Cikgu campaign is taking on an unconventional and creative approach to allow students to pay tribute to their teachers by grading them in the Report Card of Happiness. Open to all secondary school students nationwide, the Report Card of Happiness contest allows students to grade their teachers according to the positive traits of Awesome, Brilliant, Cool, Delightful, Excellent or Fantastic. Students can also share dedication messages and stand a chance to win prizes for themselves and the teachers they have paid tribute to. 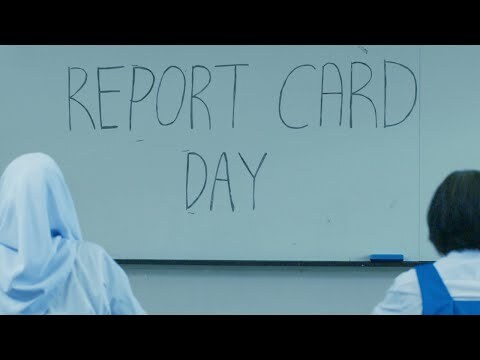 Additionally, the campaign this year in conjunction with the Report Card of Happiness theme has released a special video entitled “Role Reversal”, a two-and-a-half-minute long video where students are seen grading their teachers on Report Card Day. Aired on INTI’s Facebook page on the 11th of April, 2016, the video has since become viral and garnered over 504,000 views, 21,000 likes and 5,304 shares. The #Dedicated2Cikgu campaign took off in 2012, with humble yet impactful beginnings. Leveraging on social media has enabled the campaign to garner high engagement rates with teachers and students, who are now more than ever using social networks to communicate, learn and socialize. From 40,000 roses gifted to teachers in 400 schools to having Malaysian celebrities such as Rozita Che Wan, Amar Asyraf, Elfira Loy, Fizz Fairuz and the talented young beatboxers from 4Teen as part of the movement, the #Dedicated2Cikgu campaign has reached out to more than 4 million students and 200,000 teachers nationwide in the last four years. “The success rate of #Dedicated2Cikgu is humbling. We are proud to see that nationwide, students are still respecting the purpose of Teacher’s Day and we are happy that this campaign continues to serve as a platform to pay tribute to teachers. “For 30 years now, INTI has been at the forefront of education innovation to empower our students to become tomorrow’s game changers. In part, our educators are those who have imbued the INTI Edge within our students, thereby enabling them to excel in whatever future they choose,” concluded Johnson. The Report Card of Happiness video can be viewed here.